Instagram is no longer just posting what you did on the weekend. 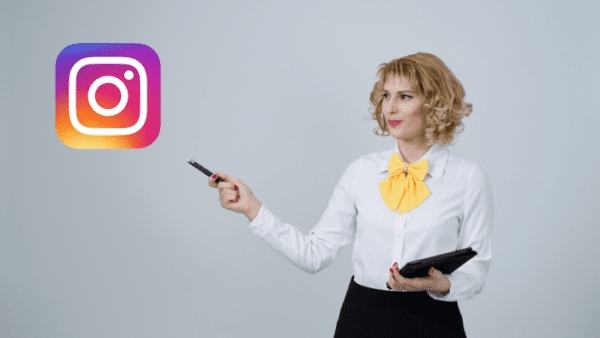 It’s responsibilities are now so wide that many businesses rely on dedicated social media managers to carry on the daily responsibilities of their Instagram presence. However, before you go out and hire a full-time social media manager, consider using an Instagram manager instead. AiGrow uses your account to automatically like, follow, unfollow, and comment on real channels with the intention of driving relevant and organic traffic back to your own channel (and ultimately converting that traffic to followers). This way, instead of buying new followers in bulk who don’t necessarily fit your target audience (which is especially important if you are a small business or brand), you’re gaining exactly the kind of new follower you want for your channel and you’re doing it almost as quickly as you would if you purchased them. You also don’t have to worry about engaging with irrelevant or risky channels as you have complete control over the types of users you interact with, and at no point will AiGrow perform any action from your Instagram account without your permission. 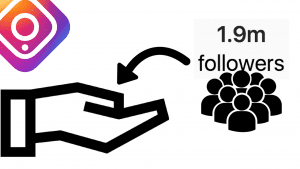 AiGrow also automatically unfollows any person you follow but who doesn’t follow you back within a certain amount of time to keep your follower/following ratio looking natural. 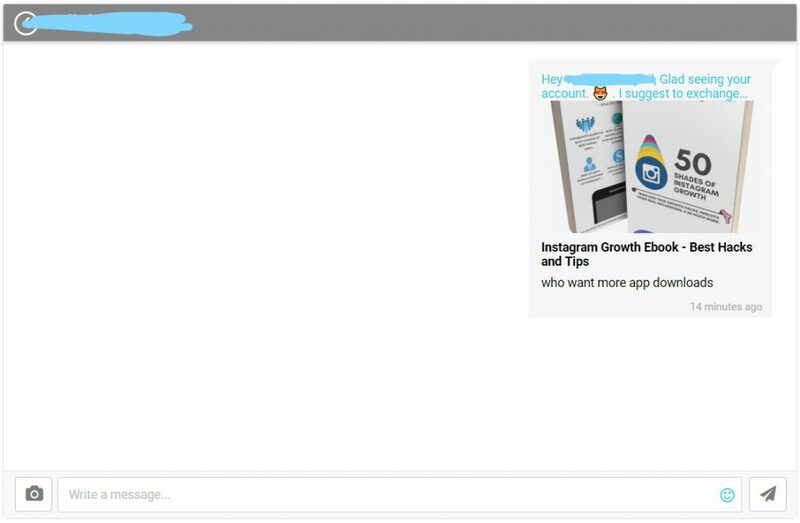 In addition to generating new followers, AiGrow also gives you complete control of your Instagram DM inbox from the comfort of your desktop. You can sort your DM inbox by Read, Unread, All, and Sent. You can also search for messages from specific users. AiGrow also gives you free access to over 100 engagement groups which you can use to get more Likes and comments on every new post you upload to Instagram. All you have to do to receive the engagement from your engagement groups is post to Instagram using AiGrow’s free desktop scheduler. To use AiGrow’s scheduler, simply go to the “Scheduler” tab on your AiGrow dashboard, click “Schedule Post”, drag and drop your post onto the pop-up screen, write your caption, add your hashtags, and click “Schedule”. When your post goes live on Instagram, all members of all groups you are a part of will automatically Like and/or comment on your new post. Likewise, when you schedule a new post through AiGrow’s scheduler, all members of all engagement groups you are a part of will automatically Like and/or comment on your new post. Because the process is automatic, all groups are guaranteed to be free of leechers. No leechers means that absolutely none of your effort is wasted. This way, like the growth features of AiGrow, there is little to no maintenance work on your part after initially joing your groups. AiGrow works on any operating system, it doesn’t require any download, it’s much cheaper than hiring a dedicated social media manager, and it will continue to run even if you shut your computer off. It will only stop if you tell it to stop. Because of this, AiGrow is the most effective Instagram manager for the most affordable price. Interested in trying AiGrow out yourself? Sign up here and try it for free. eclincher has a user-friendly interface that is very easy to use. This Instagram manager is best because of its features likes automatically posting with a manageable layout.it lets you attach RSS feed and social media DM, finding the influencers, suggestions for related content, partial and full audit reports, photo library and interestingly you can also attach canva with your social media accounts using eclincher. These are not all the features of this amazing tool it has much more like link shortening and animated videos. social media posts can be scheduled with the smart calendar and publish on scheduled time. Its suggestion service suggests content on the basis of keywords.social media engagement can be managed by using its all in one interaction service that includes tweets, Instagram DM, comments, likes, followers and unfollowers. You can also check who is mentioning you and interacting with your profile. This tool can be customized for a single user or for an agency that has many users. This tool can support all the social media platforms like facebook, twitter, google, Pinterest and of course Instagram. Buffer is another Instagram manager on the list that offers great features. It’s not only an Instagram manager; it’s also a scheduler for Twitter, Pinterest, Google, and LinkedIn. Buffer allows its users to manage all their social media activities effectively including scheduling the content, measuring engagement and analytics, customer support and other team management activities. Content scheduling service is offered by this tool but this is not as effective as you cannot schedule a lot of content and post on your profile. It also offers integration with RSS feed from blogs to get content and publish on your account. Although this is a good tool its social engagement service is far more expensive and not efficient. It costs you an additional $415 for using the service of reply to the audience. Influencer search is also not present in this tool. The buffer provides one admin who can add other team members and permit them to use the tool. Sprout Social is an Instagram manager that offers post scheduling, engagement, tracking, and analytics. It’s posting an RSS feed service is unique as it lets you audit each post separately. Single post stats can help a lot in finding the interest of your audience. Content is not posted but required approval from tea member and it doesn’t let you post content with layout feature. Social engagement doesn’t have the reply option like the buffer and other tools. This management tool can manage and monitor your activity also suggest suitable keywords. It provides basic team management services but not as effective as other tools are offering. It supports facebook, twitter, Instagram and Google. 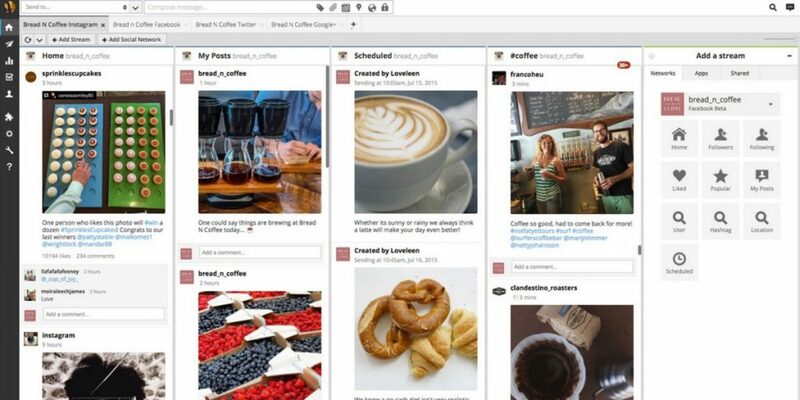 Hootsuite is an Instagram manager that has been around for a while, but it’s not always right that old is gold. It has basic management features like creation of content for social media, scheduling of posts, analytics and RSS attachment. This service is able to schedule bulk of content but it doesn’t allow you to auto-post that content. It has a unique feature from other tools that lets you create contests for your social media accounts to engage the audience. Using RSS integration feature you can find great content to share on your profile.it don’t let you manage DM service and doesn’t have social engagement option. Some basic team management services are offered by this tool like team approval for content posting. It supports Twitter, Google, WordPress, Instagram and many other platforms. Sendible is a great Instagram manager for organizations. It has all the necessary features that should be a part of any social media management tool. This service is able to schedule your content with a smart layout and lets you post your content efficiently.Not only scheduling but its great suggestion feature suggests that what you should post when. It has social engagement service, using that you can reply to your audience and like comments and engage with audience easily to grow the following. Its smart CRM system lets you manage all your interaction activities. Team management is also offered by sendible and provide a dashboard panel for each team user. It supports facebook, twitter, google, youtube and Instagram. Its pricing is not fixed on a monthly basis and is calculated by the number of services one will use. Social Pilot is also a great Instagram manager. Its features include content creation, scheduling of posts, auto-posting of content and smart layout. 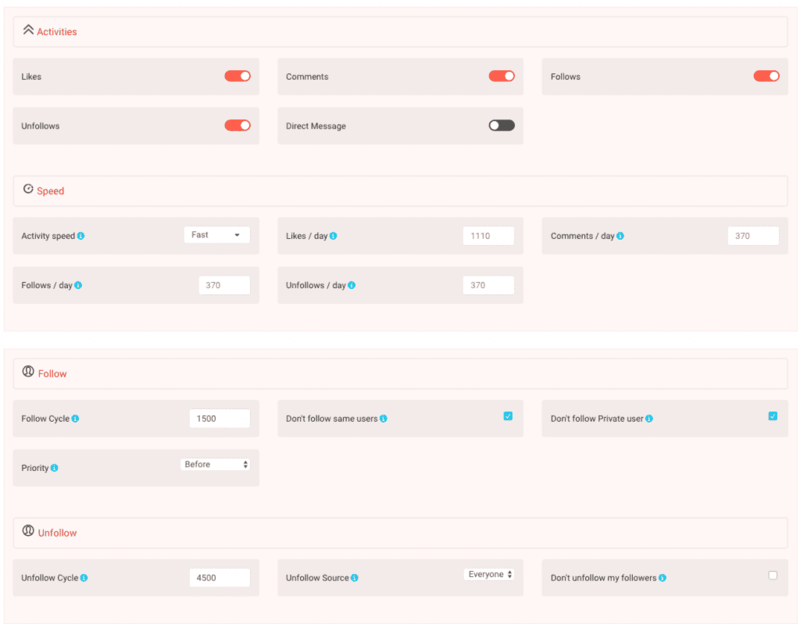 Social pilot lets you schedule bulk of content and you can schedule content for auto post.it also provides the feature of RSS integration that allows you to find engaging posts to share on your Instagram feed. This tool provides you with all the best management services but not social engagement with the option of replying to the audience. It has a great customer support service that allows you to interact with your customers without login. It also provides clients with a separate dashboard panel. It supports Facebook, googles, linkdin,and Tumblr. Do you use an Instagram manager not explored above? Drop your suggestions below in the comments! 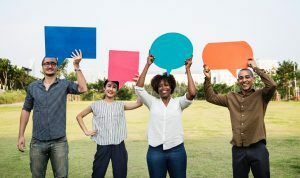 Previous PostShould You Hire a Social Media Manager in 2019? Who has the most followers on Instagram in the world?